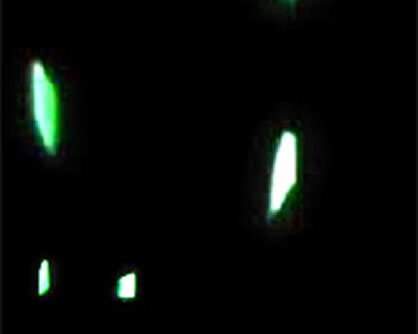 Dots of light move across the screen in radiating patterns rhythmically tied to the sound of a recorded heartbeat. The work appears at once both universal and microscopic. As the it proceeds, we discover that the specks of light are in fact the movement of 50 cheerleaders with lightsticks and the sound is their heartbeats, recorded as they dance. Lightwave connects the individual to the larger universe and conveys a feeling of optimism drawn from the collective action of a group of people, signaling to the skies.